Traffic stops, checkpoints, and inspection stations are common security measures utilized in order to apprehend individuals attempting to smuggle drugs, money, and at times, human beings across the USA border. In fact, an individual will in many cases attempt to cross the USA border and be subjected to many of these checkpoints; such was the case when an individual was apprehended with over $18,000 of unverified cash. In many cases, the USA border control K9 unit was an imperative part of this arrest. 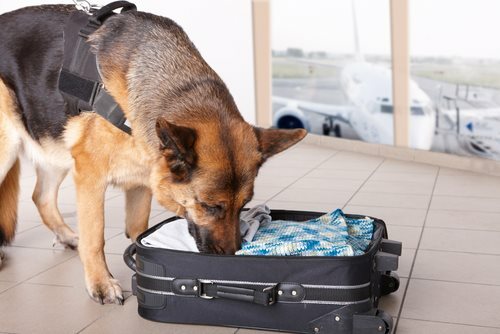 Not only are the USA border patrol trained dogs able to pinpoint drug locations on people and in cars, no matter how camouflaged, but they are also able to pick up the scent of money. After the amount of money was found on one of the individuals, a quick check by the USA border patrol determined that the two individuals had extensive criminal backgrounds. This is not uncommon when finding drugs or large amounts of unverified currency on individuals attempting to cross the USA border. However, the USA border patrol was still forced to let the two suspects leave since they had no drugs in their possession. However, the USA border patrol did seize the unverified cash, since the individuals could not prove that it was obtained in a legal manner. Crossing the USA border for criminals does not always result in their serving time in jail, although the USA border patrol will almost definitely seize the funds that are found. The smuggling of cash across the USA Border presents specific concerns to border patrol agents due to the suspected illicit activities that funded the large amounts of cash. Recent violence around the border exacerbates this concern as many prominent and dangerous gang members traffic weapons and drugs over the border. It should also be mentioned that, although these individuals who the USA border patrol apprehended had criminal records, they had no outstanding warrants. Had the two individuals held prior criminal records, the USA border patrol would have had the legal right to detain them.